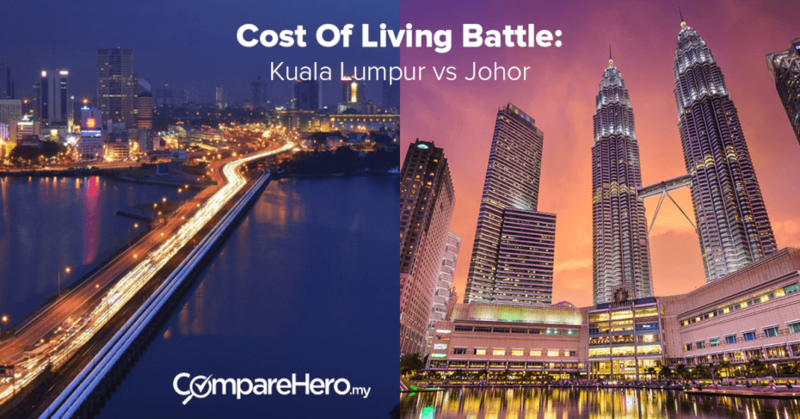 Following the comparison article of The Cost Of Living Battle: Kuala Lumpur Vs. Penang, CompareHero.my decided to take up another comparison between our capital city and Johor, the nearest state to the developed and neighboring economy, Singapore. 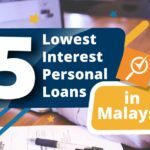 Johor Bahru was listed as one of the top ten most affordable cities for people to work in Asia, by Nomad List, though it has recently been ranked much lower at 55th position. Though we are not sure why the significant fall, but one thing is for sure: inflation is beating Malaysians at its best this year. Johor has been coming up on the list of many expats and locals over the recent years given its close proximity to Singapore and China’s venture into the state for property investment (Iskandar). 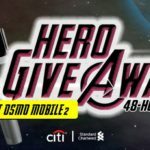 As a consequence of development, the cost of living has been on the rise over recent years and to help you decide between living in Johor and Kuala Lumpur, CompareHero.my will go into an in-depth analysis of components to compare the cost of living between both cities (based on findings by Numbeo). 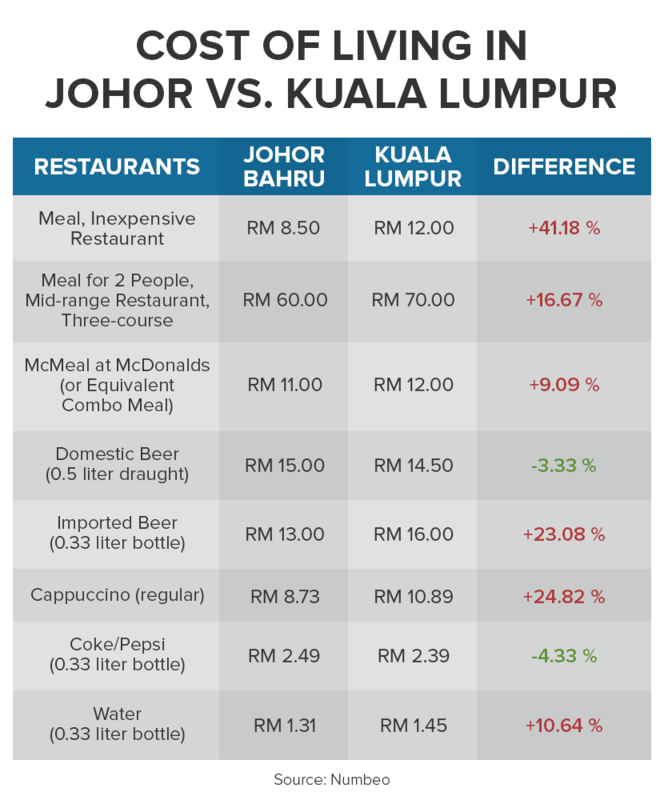 If you look at the table above, eating out is generally cheaper in Johor Bahru than Kuala Lumpur. 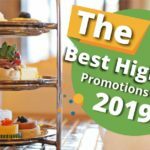 However, many claims that you will find it harder to get a variety of tasty food options in Johor Bahru as compared to Kuala Lumpur and Penang. If you are really keen on saving money to achieve your financial goals, reducing spend on eating out is probably the least favorite choice. 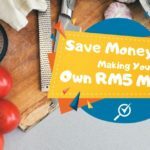 Nonetheless, it doesn’t hurt to know that you are spending about 20% to 30% lesser for a meal in Johor similar to one in the capital city and some can save even more with the right credit card. If it helps, many Singaporeans would visit Johor to enjoy glorious meals at a much affordable price too! 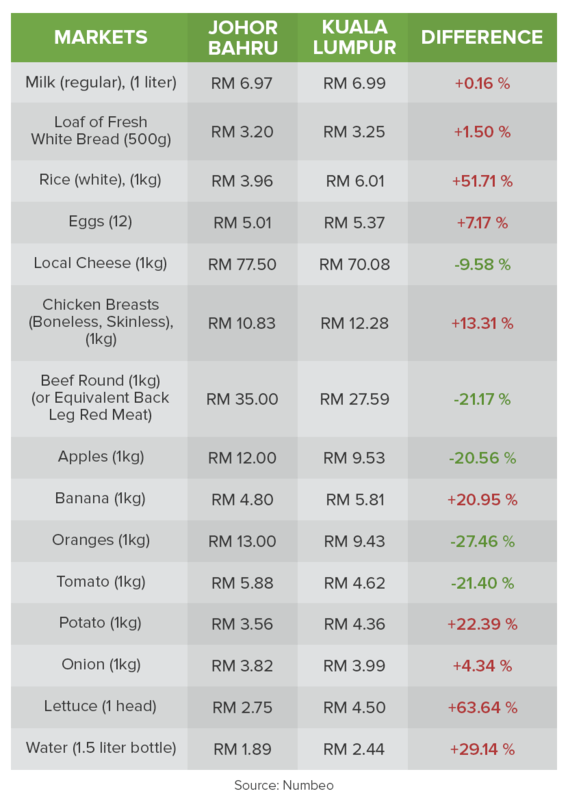 Surprisingly, buying food materials in wet markets in Johor is cheaper than both Kuala Lumpur and Penang according to the table. 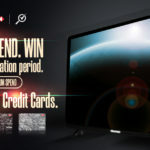 However, you should know that higher fuel prices sent the rate of inflation for March soaring to its highest level in nearly nine years, with the consumer price index (CPI) rising 5.1%, as reported by The Star. 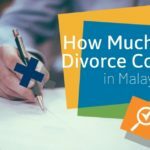 Overall, it costs more for one to send their children to school, shop for clothing and enjoy entertainment in Johor, at about 15% to 20% higher than in Kuala Lumpur. According to Wong Xi Nan, a fresh graduate who stays in Johor pointed out that some of the entertainment and shopping costs, especially standalone shops, increased their product prices to leverage on the rising number of Singaporean shoppers during the weekend. To be fair, it now costs three times less for Singaporeans to buy a dress in Johor than in their country given the weaker ringgit over the years. This is one of the factors that are pushing small business and hipster entrepreneurs to bloom in the state given the opportunity rising from the Singaporean market. Other than the usual shopping, many Singaporeans also come over to Johor for car servicing, dental services, and movies too! A movie ticket costs about S$9 (RM27) in Singapore while it only costs RM17 in Johor. Following the downturn of the property cycle, property prices in Johor are consolidating and this is a good sign for anyone considering to settle down in the state. 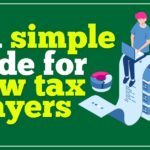 Whether you are looking to rent or to buy a house, you can do either with cheaper costs in Johor compared to Kuala Lumpur. 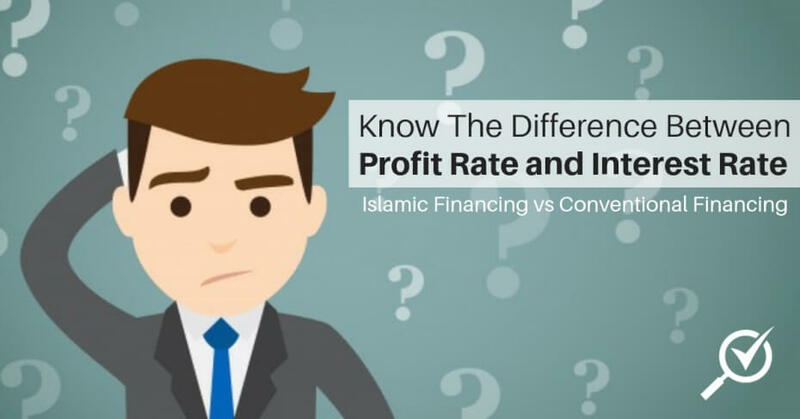 However, if you are looking to invest in property particularly within the Iskandar area, you should probably do more research and wait a little longer for more convincing reasons to do so. Johor registered an increasing market overhang share at 24.8%, which [was] mainly made up of two to three-story terraced houses priced at RM500,000 and above, as cited in the Property Market Report 2016 by our finance ministry. This is only one of the indicators of an oversupply of properties in the Iskandar area and many experts including Siva Shanker, former president of the Malaysian Institute of Estate Agents has voiced out similar concerns in the past. Tip: Buy or rent based on what you need. Invest in alternative products in the meantime. 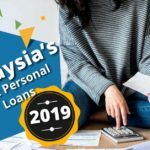 Career-wise, while it is apparent that you have better job prospects and higher salary levels, on average, in Kuala Lumpur, many argue that Singapore – which is right next to Johor – provides a much brighter financial security. First, the weaker ringgit has pushed more Malaysians, especially those who live in Johor to work in Singapore. 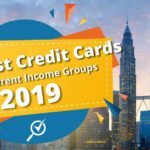 With the stronger Singapore dollar, you have a higher disposable income in Malaysia if you are willing to go through the hectic traffic and immigration process every single day. Next, Singapore also offers the finest multinational corporations and billion-dollar-companies in-the-making to beef your resume up, if you’re lucky enough to be hired by one of them. 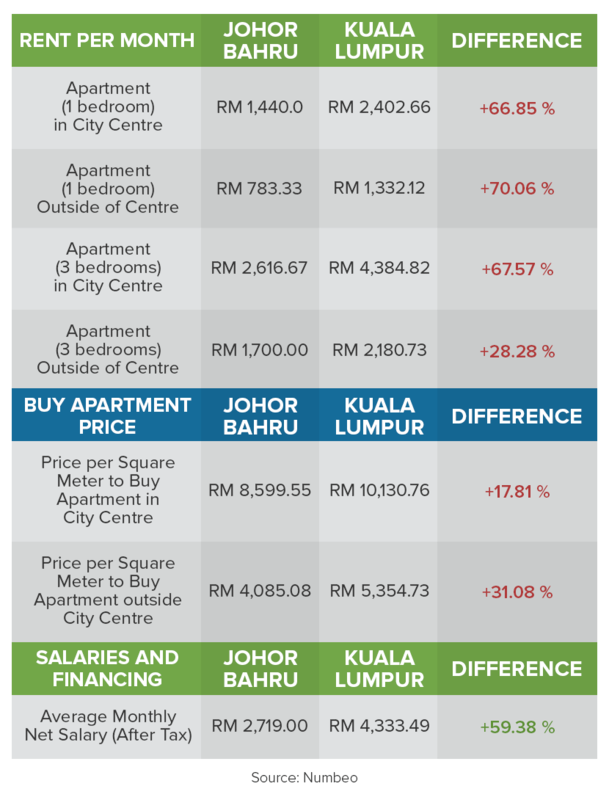 In terms of cost of living, it is relatively cheaper to live in Johor than in Kuala Lumpur. To be more precise, you can eat and buy food at lower prices, get a place to stay at 55% cheaper in Johor. 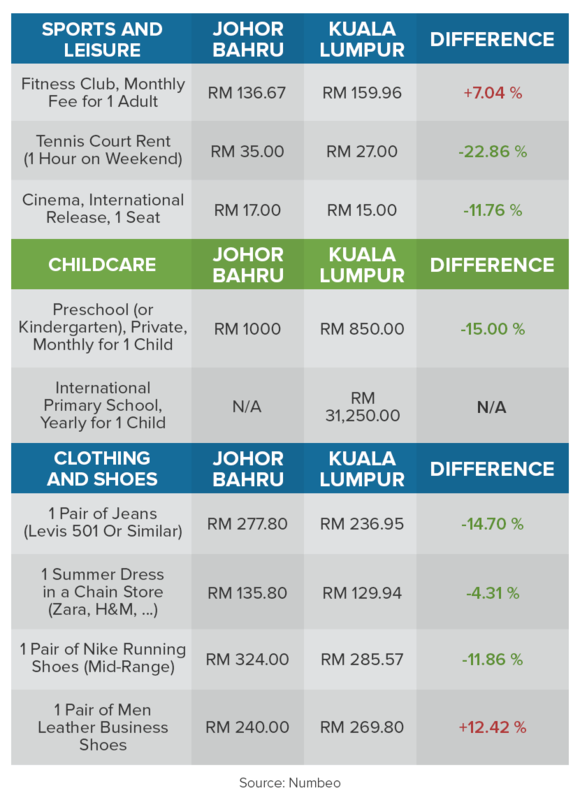 However, shopping and entertainment speak otherwise, where it costs about 20% more in Johor than in Kuala Lumpur.